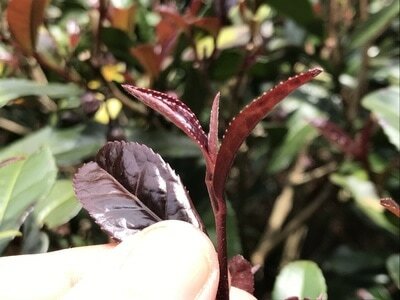 Flush - putting on new growth (leaves). For us in NC this extends from April through August. 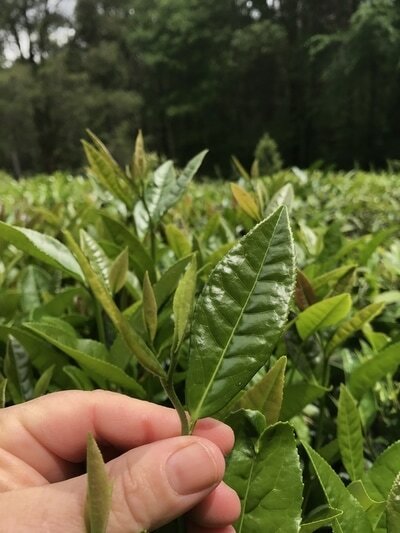 First flush tea is made from the earliest growth of the season. New growth is usually lighter in color than mature leaves. On growing (flushing) tea, stems are soft and green. 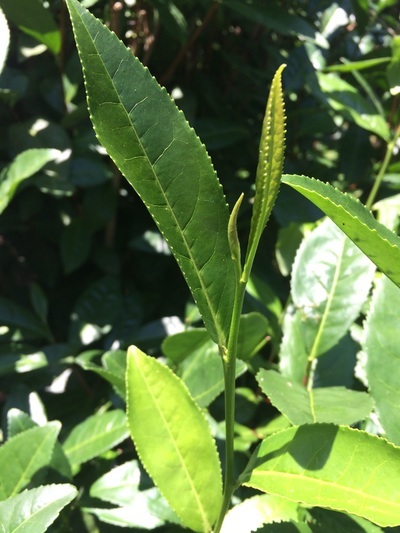 We usually wait for two leaves and a bud for harvest, or sometimes harvest just the first spring leaf and one bud, or just the bud, for a delicious white tea. Harvesting will stimulate new growth - typically up to 4 "flushes" per year. 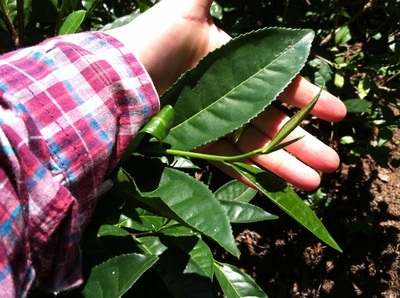 The different flushes of tea can help to distinguish taste and cost of commercial teas. Bud - As in, "two leaves and a bud", "bud" refers to the leaf bud (not a flower bud). Pictured below: two new leaves and the one terminal leaf bud (unopened).